It seems that Lenovo could be the first company to launch a foldable smartphone. 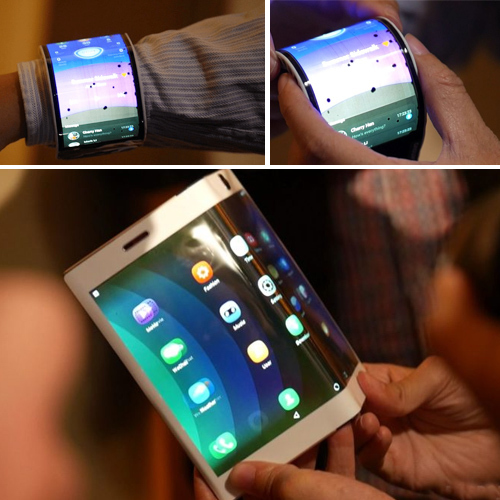 The China-based company's foldable smartphone, which made its first appearance as a concept at Lenovo Tech World Conference 2016, has been teased by the company. Lenovo shared a 10-second video of the foldable phone's prototype version with a caption that reads - "We are just so terribly good. It's time to show off. We'll see you in October." The video teaser, which was posted on Lenovo's official Weibo account, shows a working phone that has a foldable design. We can see that the device continues to recognise and allow touch input when it gets folded at around 80-degree angle. However, there are a couple of dark spots on the right edge of the display, probably due to wear and tear.